Real Madrid midfielder Luka Modric is keen on a Premire League return, with Manchester United to be his most likely destination. Out-of-favor Real Madrid star Modric has scored a magnificent goal to help his side dramatically eliminating Manchester United from the Champions League. Now it turned out the 27-year-old still cherishes a hope of playing in the Premier League. Sir Alex Ferguson has seriously considered the possibility of signing Modric two years ago, whom he considered to be an ideal replacement to Paul Scholes. 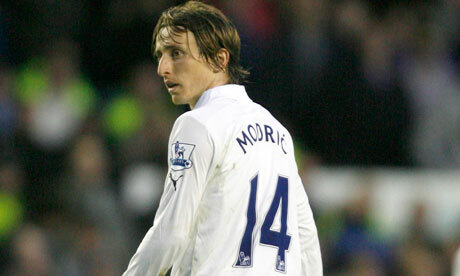 However they failed to reach an agreement with Tottenham chairman Daniel Levy over a transfer fee. Modric has left the Spurs for Real Madrid for £33 million last summer, but has not managed to establish himself as a first-team player under Jose Mourinho. He has made just 22 La Liga starts this season.